Since the last smoothie was so good. I wanted to try to make another one and this is my ALL time favorite smoothie. I seriously wanted to lick the glass haha. 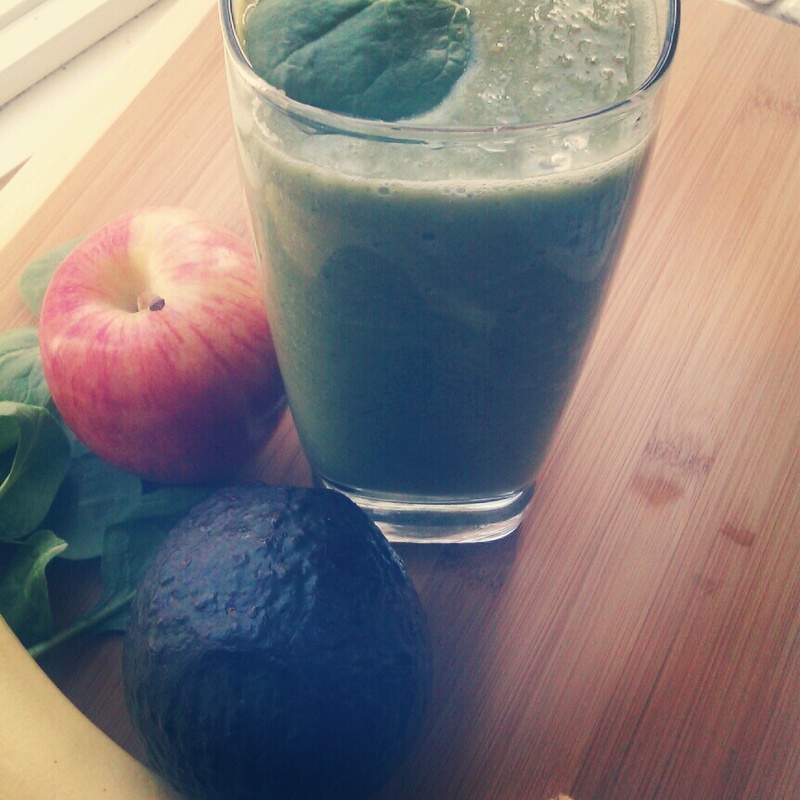 I never thought that a spinach smoothie could be so refreshing and so deliciuos. I think alot of people probably feel the same way. When you think of spinach you dont think it could be something that can be enjoyed as a drink. I have to say I am now a huge fan of spinach smoothies. Just think of all the nutrition you are getting from one glass. The benefits in this smoothie are truely amazing. I hope you enjoy this one as much as I did. Drink up. Chop everything up place in blender, add milk, honey and blend. Next Post Red Lentil Burgers Please! 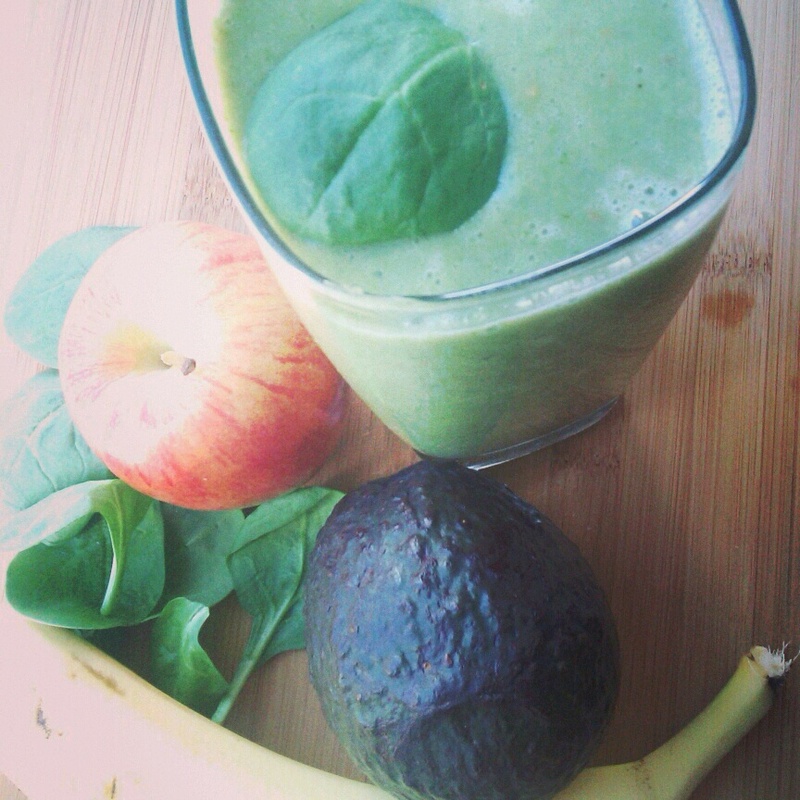 Great recipe…I’ve done a similar green smoothie, only mine was with kale. It’s amazing how you can sweeten it naturally just by adding the right fruits. After drinking one of these, I have energy for the rest of the day! Its so true and you get full too. I have to try kale next ;)..Thanks for the comment. Have a great day! Looks good. I’ll def. try it.